What is invitation to conversation? How to turn on it? In the trigger settings, you decide at what moment and in which situation the conversation window will appear. © 2017 chater.biz. All rights reserved. 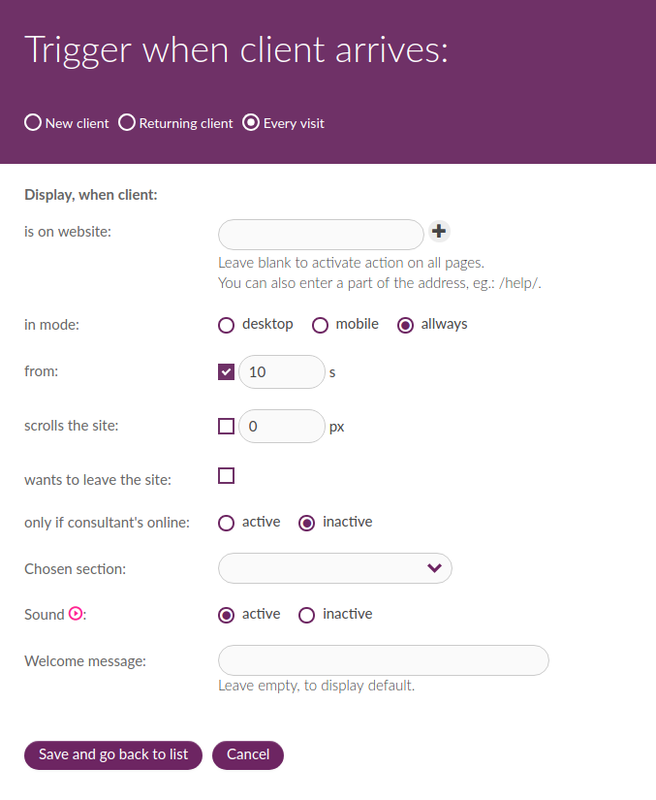 chater.biz is a live chat tool for effective communication with customers on your website. 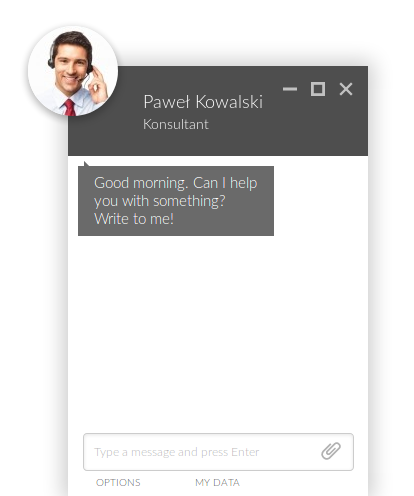 Livechat allows you to better understand your clients, solve their problems and increase sale.